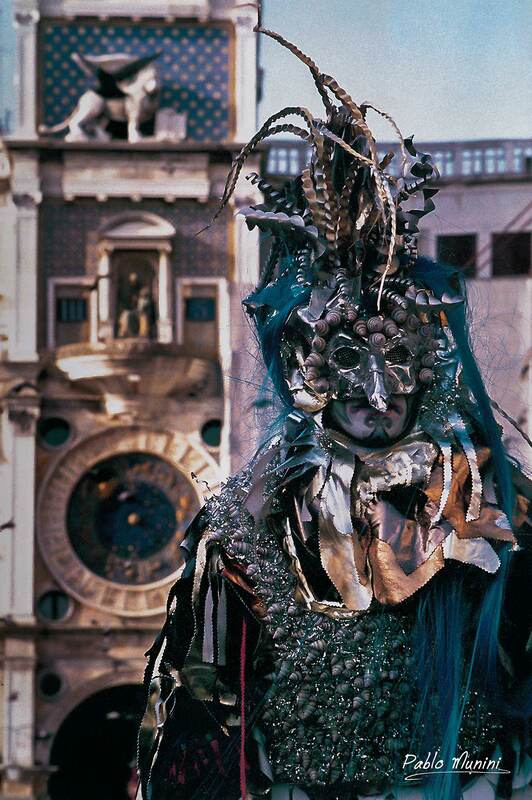 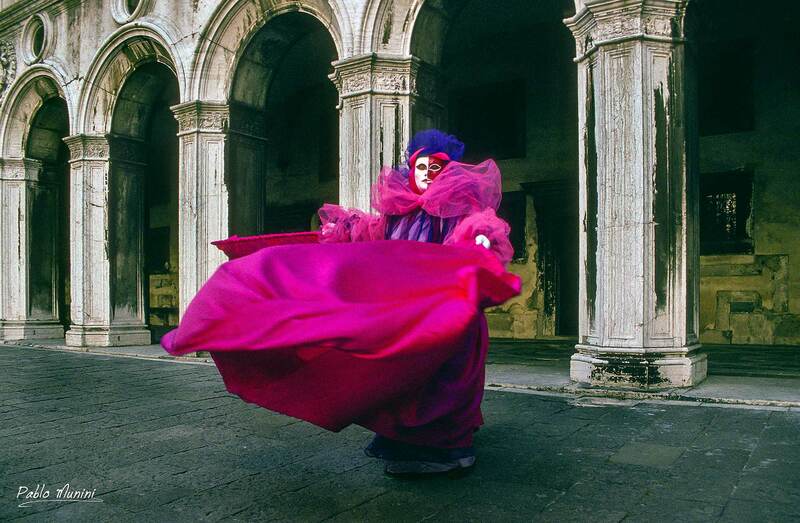 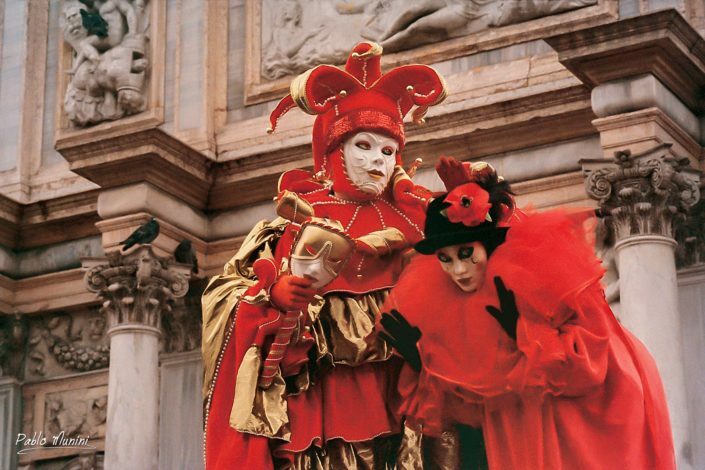 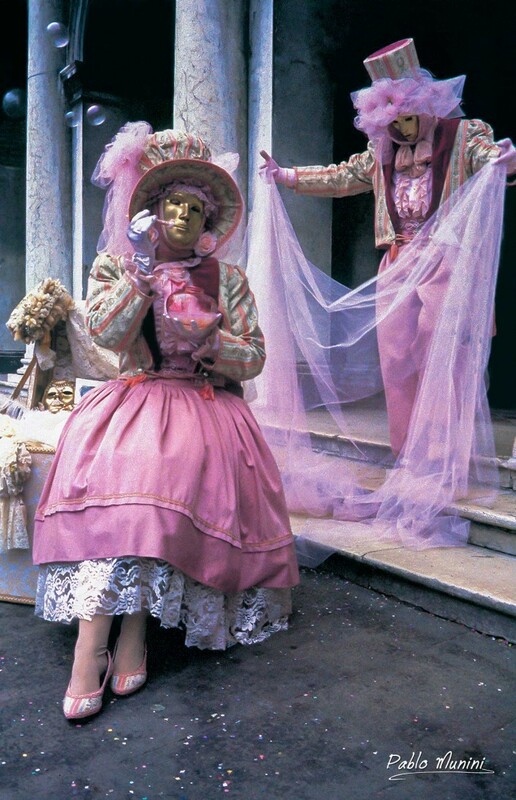 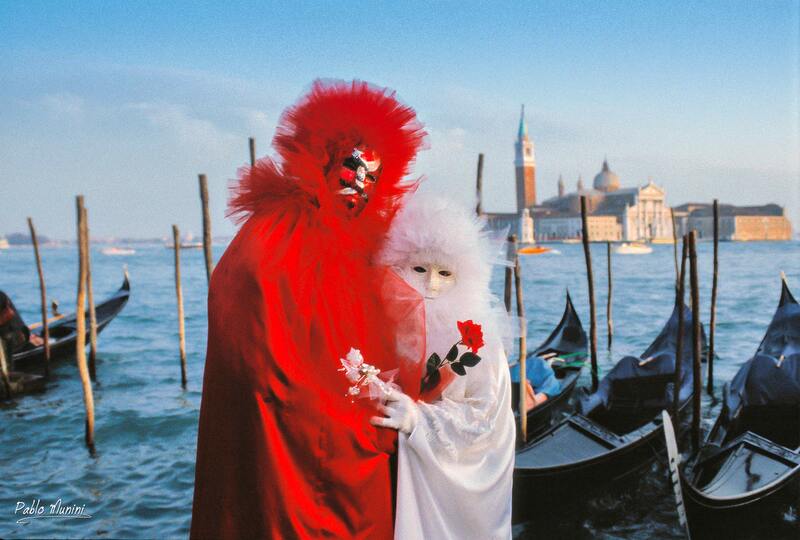 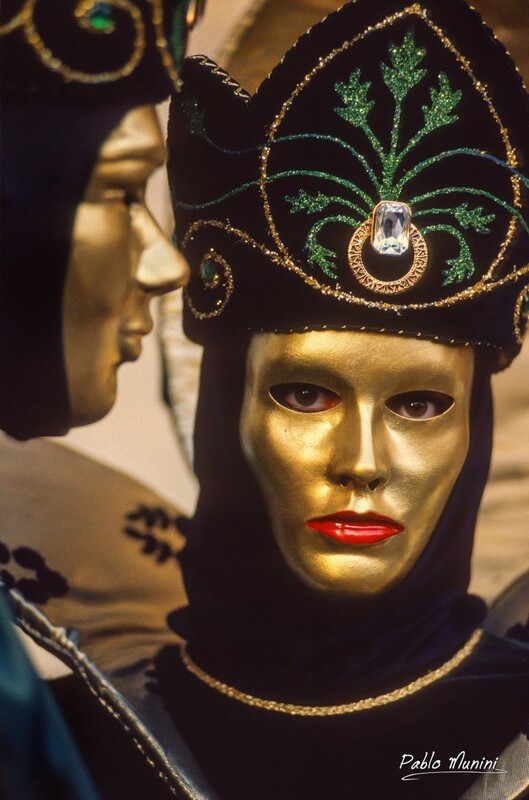 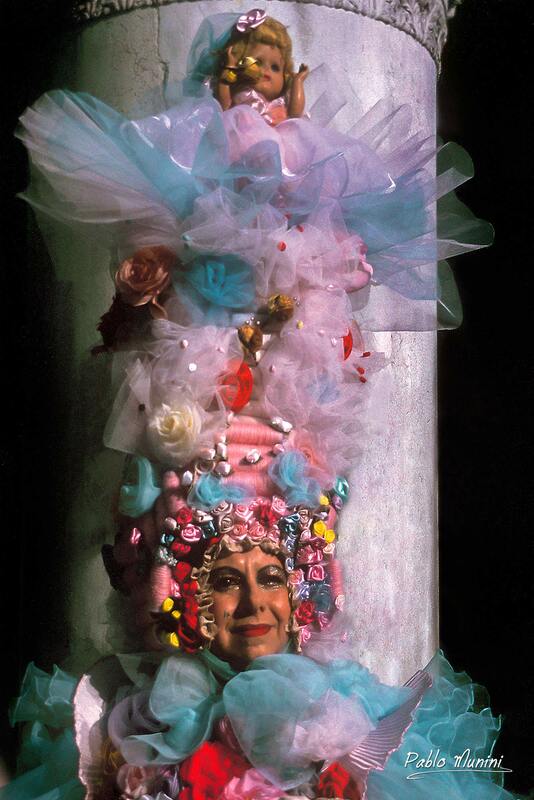 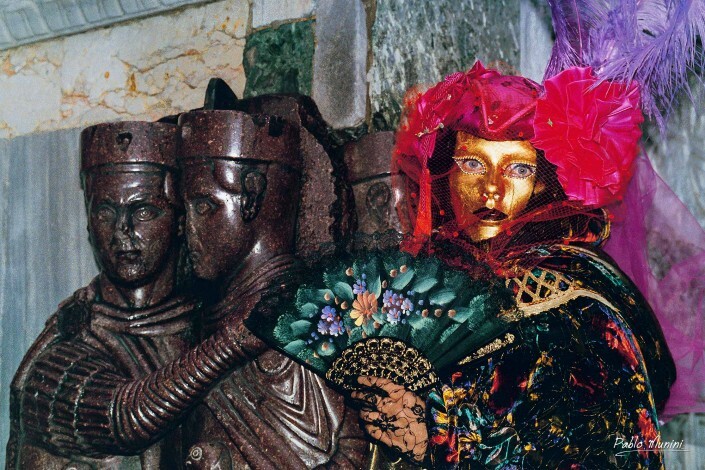 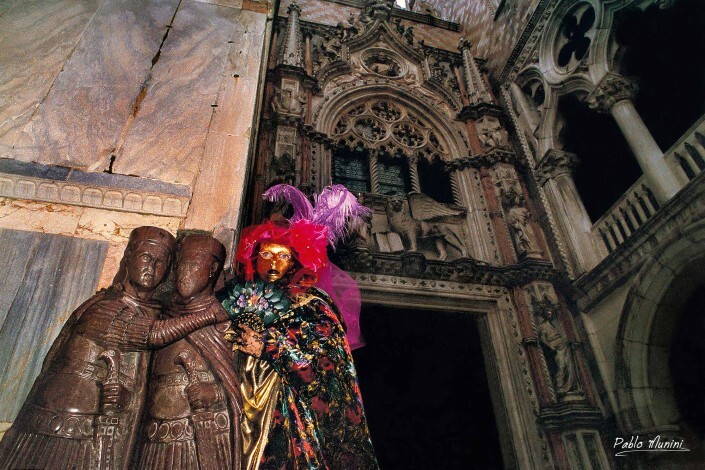 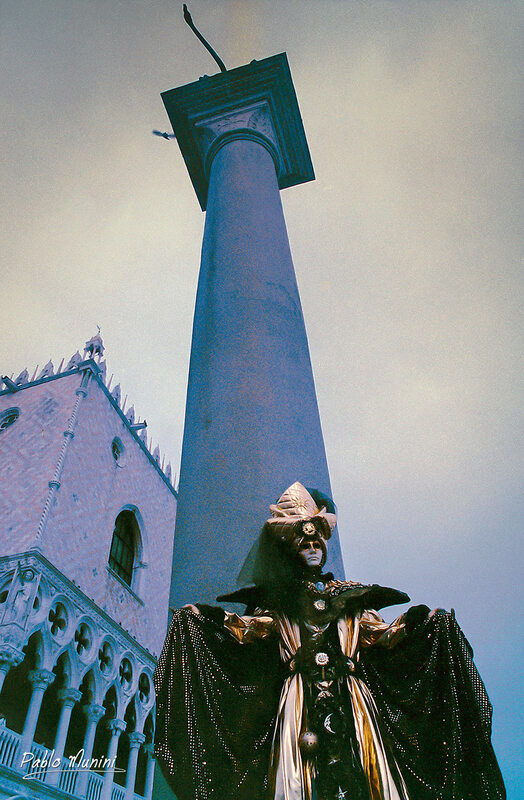 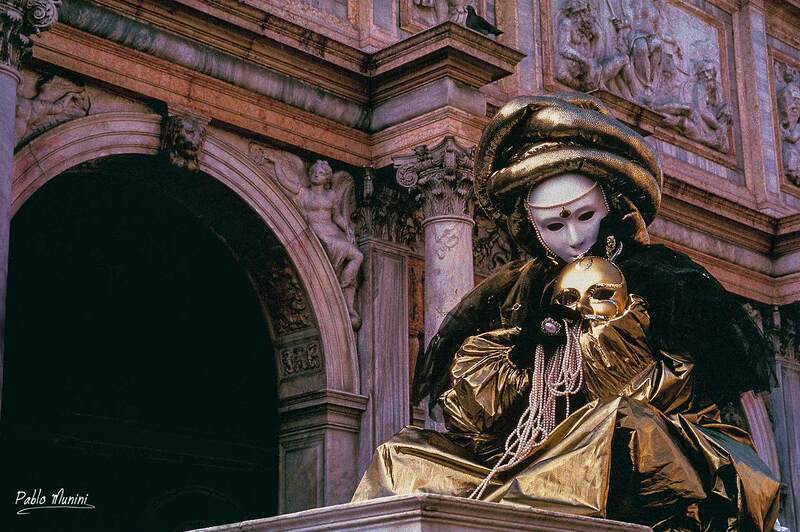 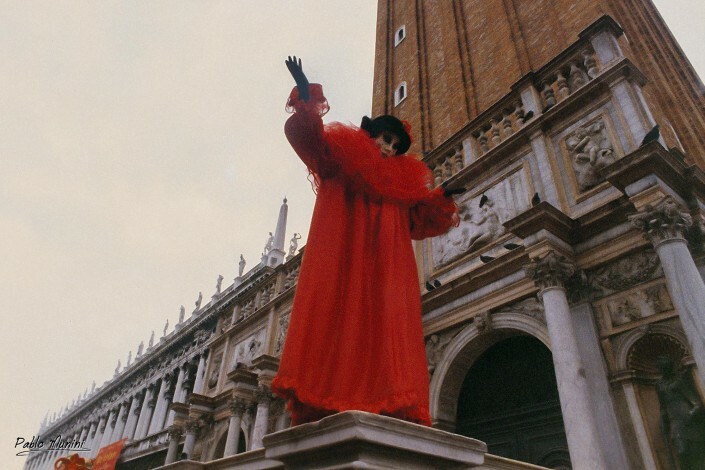 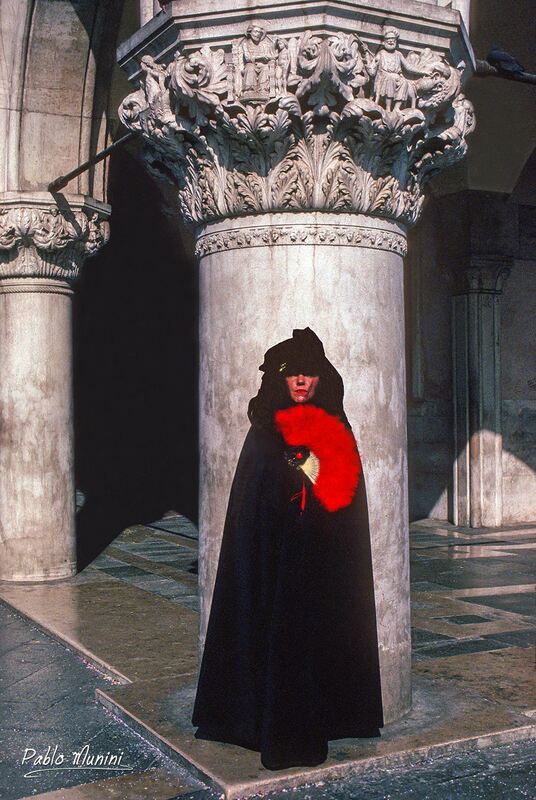 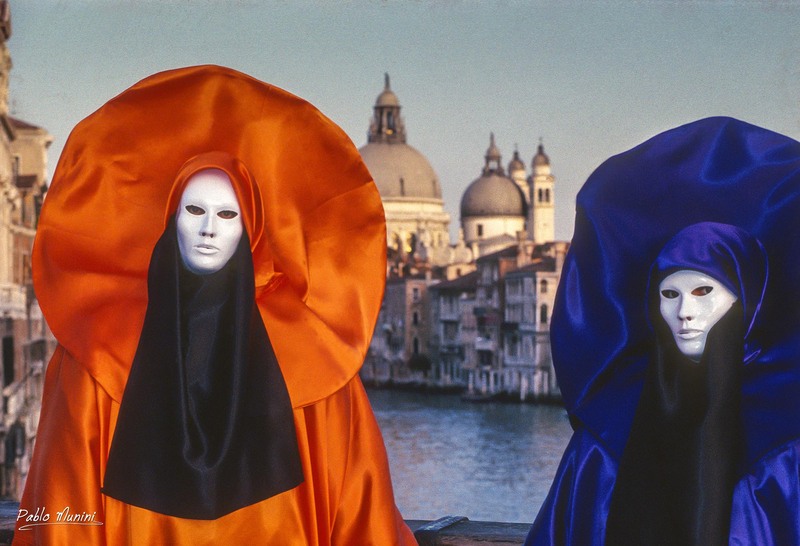 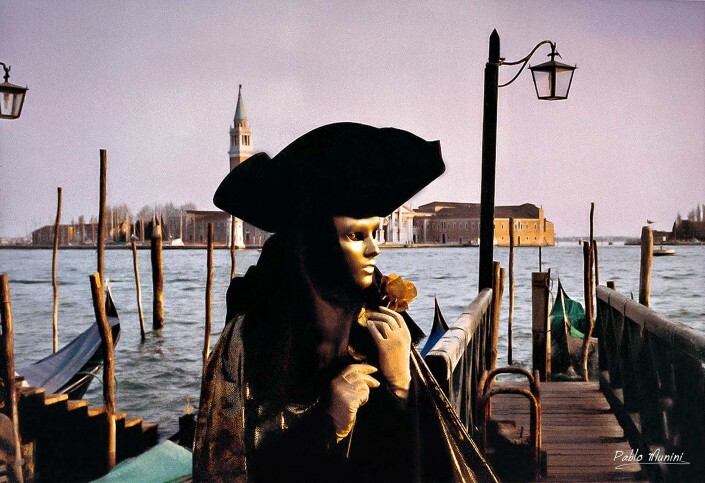 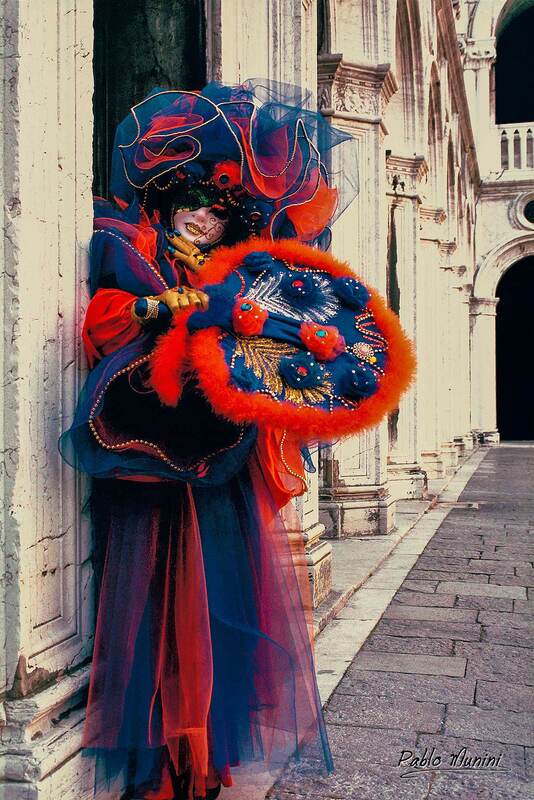 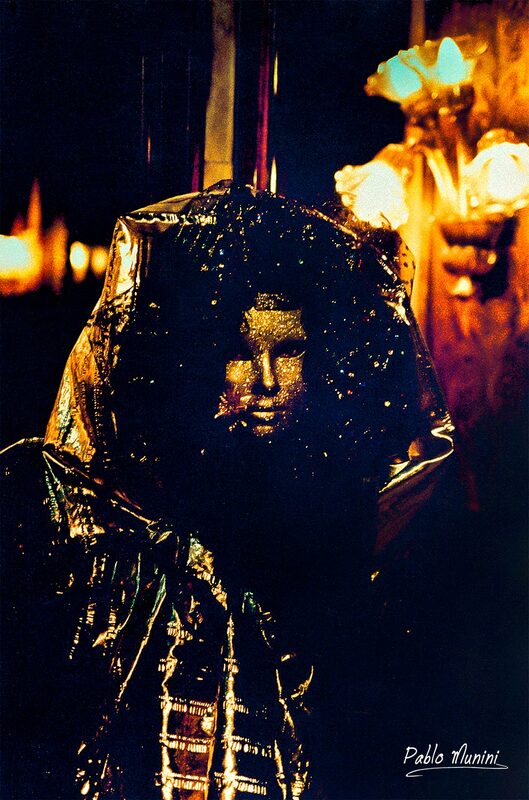 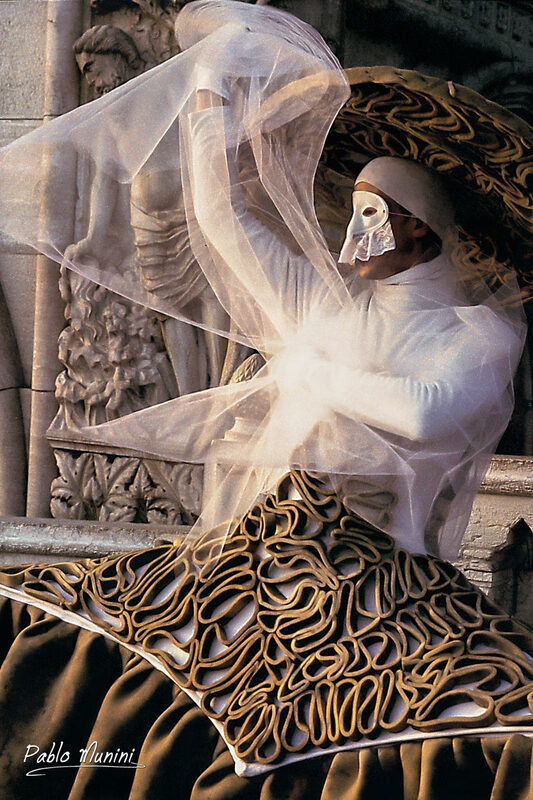 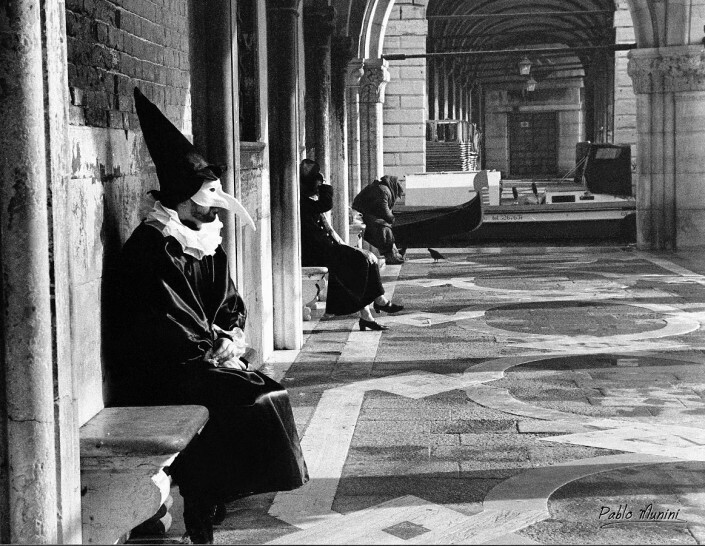 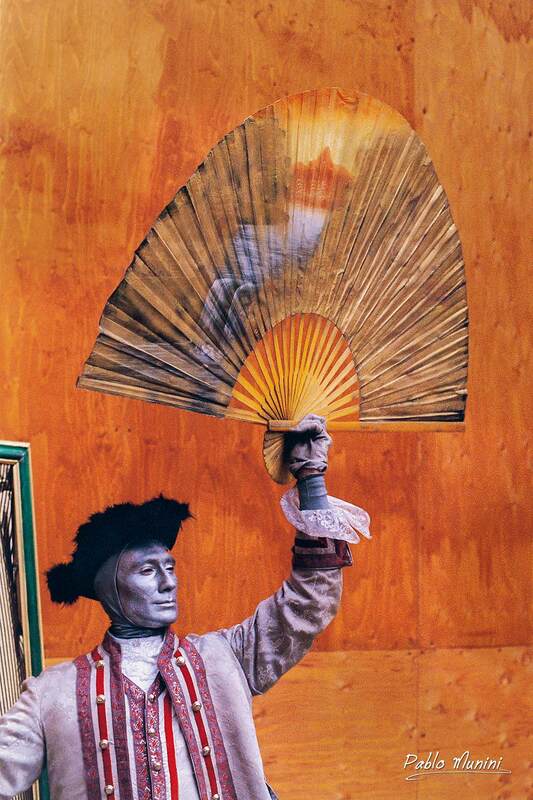 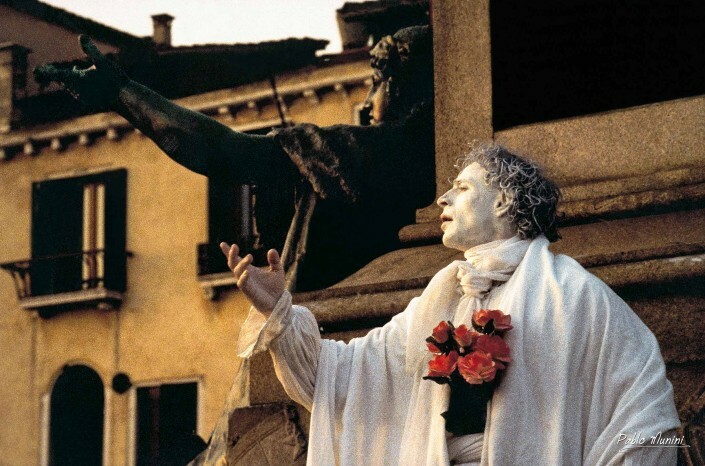 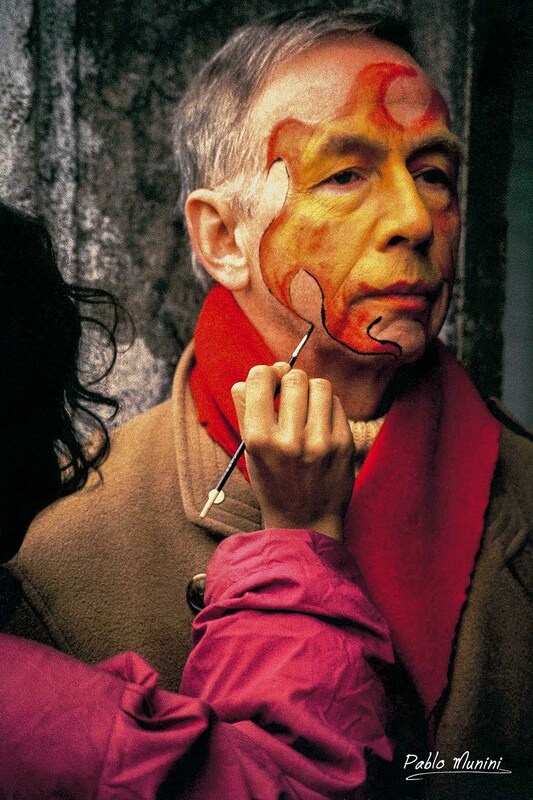 Carnival in Venice 1992- 1998. 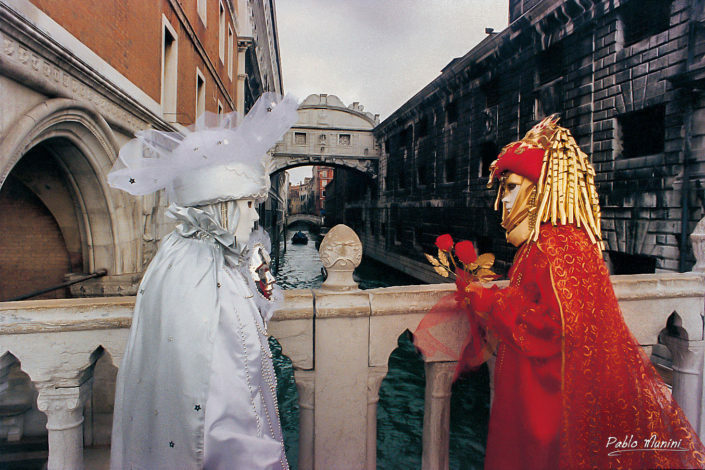 Analog photography Carnival Venice 1992 to 1998. 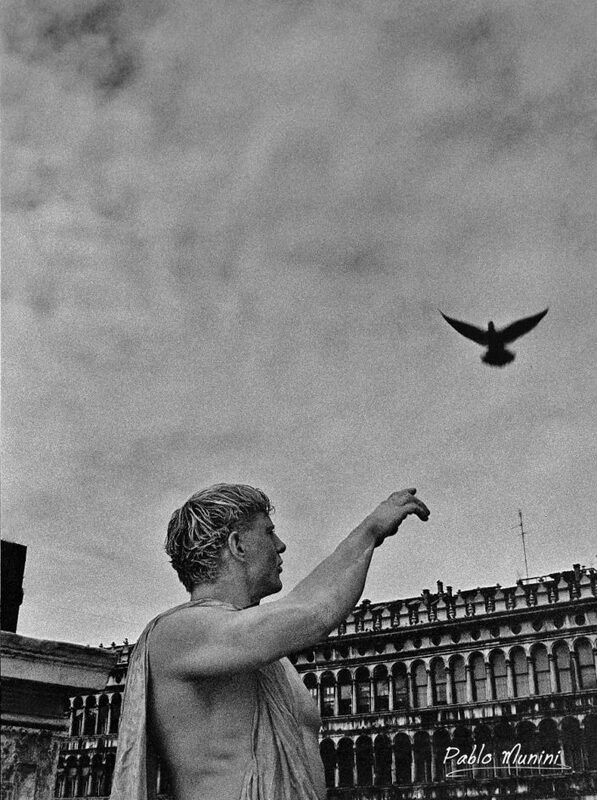 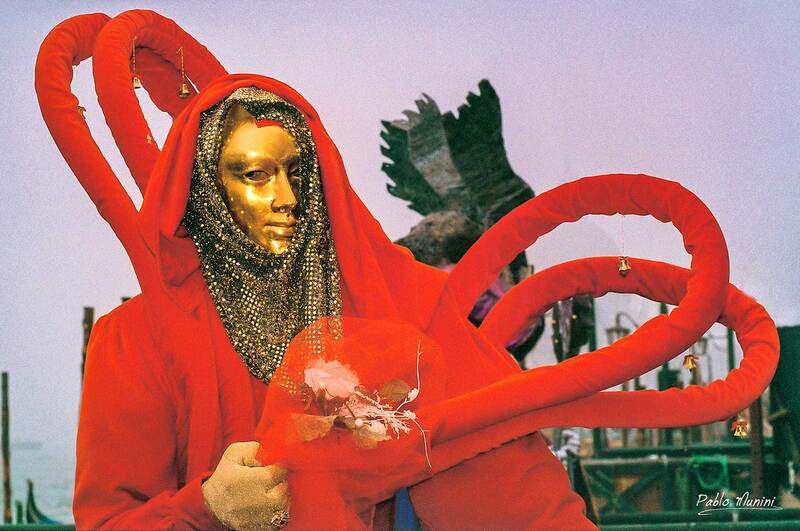 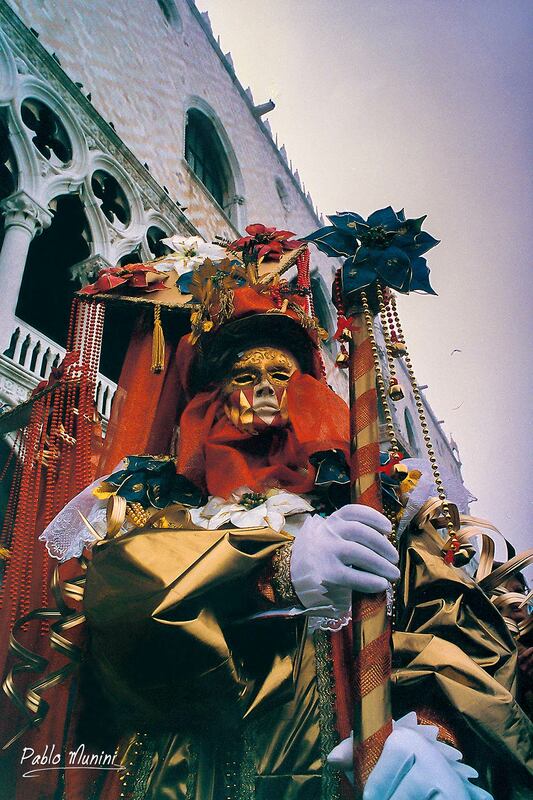 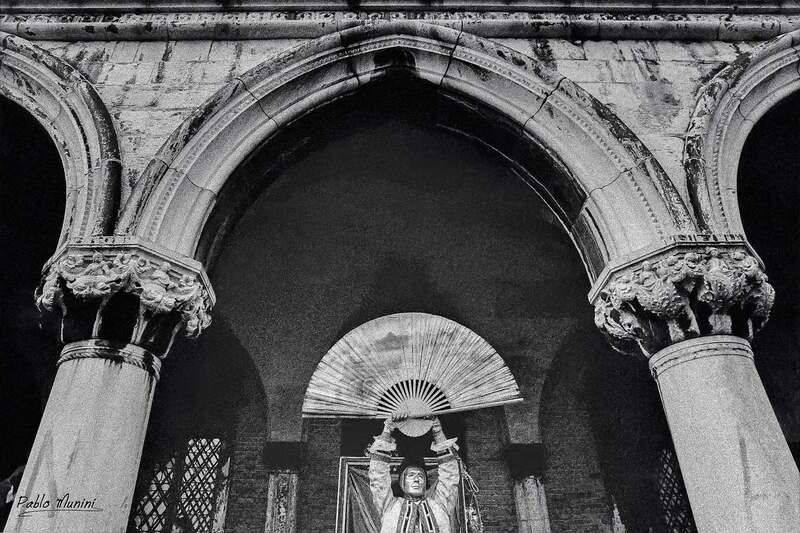 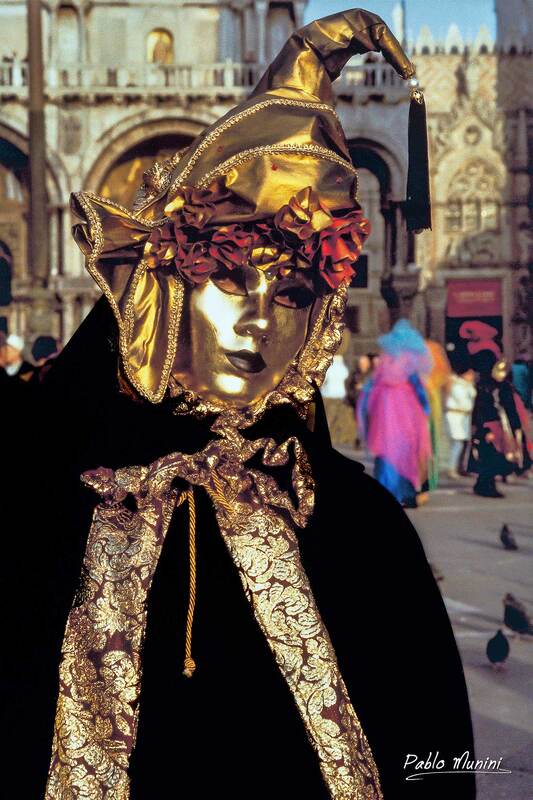 For almost two decades I have looked back with nostalgia at my carnival images from Venice in the 1990s. 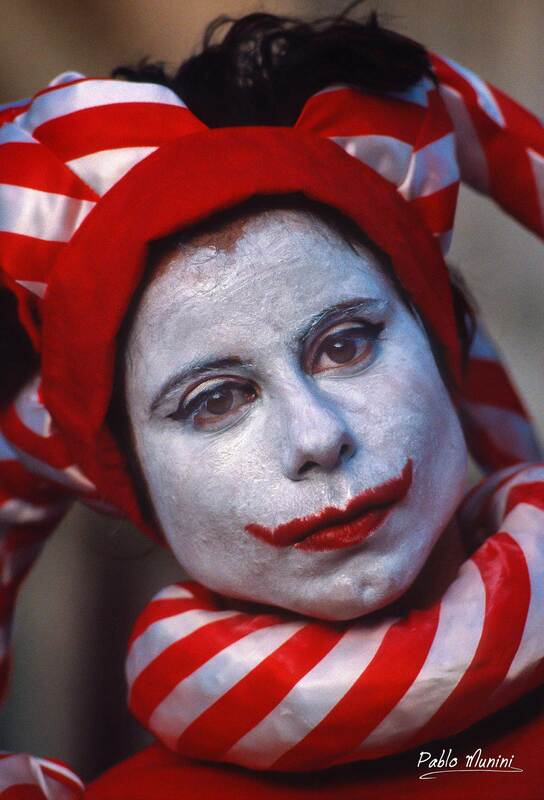 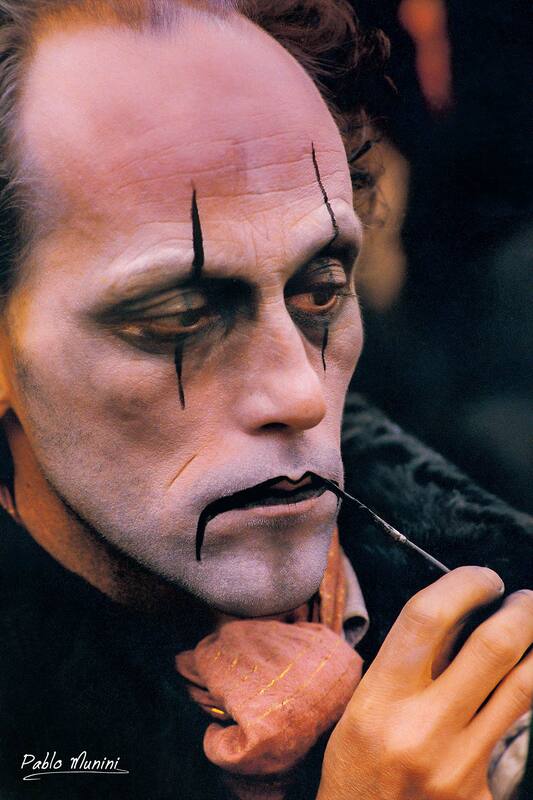 This was the era of color film, from Ilford’s to Kodachrome. 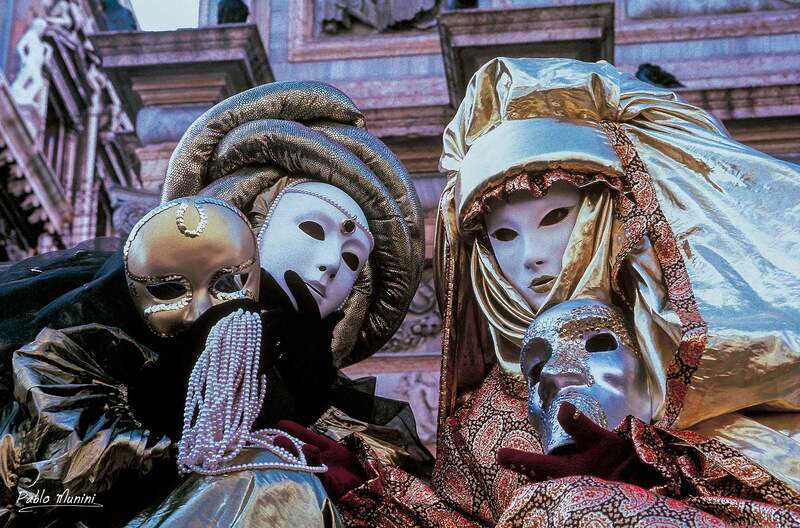 Today, February 18, 2017,I return to the Carnival of Venice, in a new era of digital photography. I hope that the images I take today will endure as well as those from the 1990s. 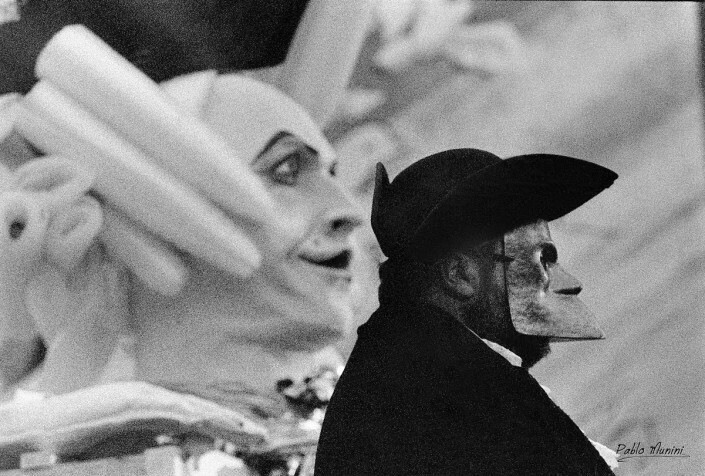 None taken today however, can ever have the same vintage distinction as this collection from the 1990s I present to you now, enriched by the inimitable passage of time, and the unique and incomparable art of analog photography.